So our family vacation started a week ago, we headed to Cleveland, OH for a week to spend time with my family over the 4th of July holiday. I am really excited, its been a couple of years since we have been to Cleveland and its one of my favorite cities. Not just because it’s home but it's always changing and growing plus the people are wonderful. Not sure what to pack for your vacation get my free packing printable instantly for signing up with The Daily Bubbly and join The Bubbly Tribe today. Join My Bubbly Tribe Today! We respect your privacy and will not share it with anyone... Ever! Thank you for subscribing. I know your inbox is a sacred place that you do not want to be filled with junk and I do not take that lightly. My Bubbly Tribe goal is to share my content and knowledge on fashion, travel, beauty and more so that you can live the best you and have fun while doing it. So we have packed what we could fit into our car, turned in the keys to our apartment in Milwaukee and filled up the gas tank. The first leg of our trip is pretty easy just eight simple hours from Milwaukee to Cleveland, and yes that is with a four-year-old and a dog. Jame has his toys to play with, books to read and naps to take. He is just like me I love to nap in the car. The second half of our road trip is much longer, Cleveland to St. Louis then on to Denver, Salt Lake City and up to Portland, to our new home. So how does one family survive a trip of this magnitude? 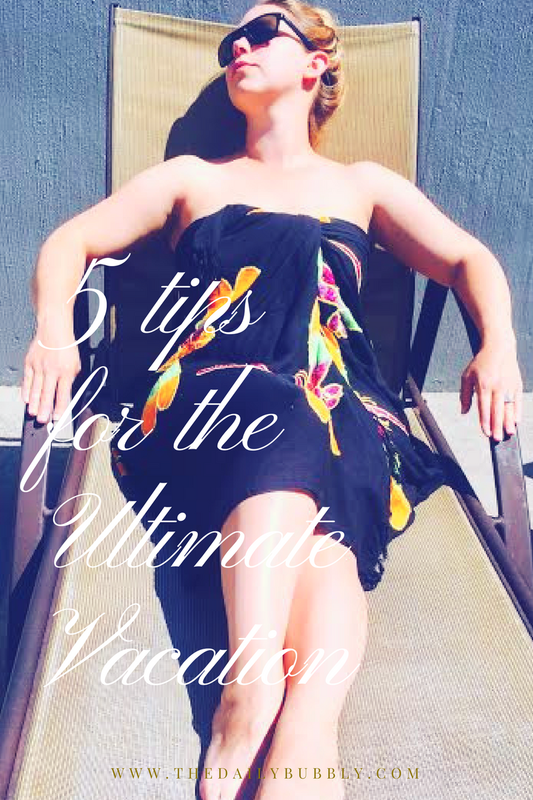 A little planning, a lot of snacks and some great travel tips from me. Oh, and did I mention patients, lots of patients. On road trips or anytime, when you travel you have to think about your creature comforts or you will be miserable the whole trip and make others miserable as well. If you get cold easily make sure you have a blanket or sweater handy. If you love to nap or will be traveling at night get yourself a travel pillow, no one likes a sore neck. And do not over pack, its one of the worst things you can do give yourself and others the leg room they deserve. Whether it's a quick airplane flight or a week long road trip, plan and pack healthy snacks and meals. Trust me your body, mind and traveling companions will thank you. Grabbing the bag of chips and soda at the convenient store or eating at fast food restaurants when you stop for gas is not convenient to your body. Instead grab a cooler and stock up on tasty snacks and easy meals at your local grocery store. Pre bag them the night before for easy to eat and shareable packaging. Skip the soda all together and stay hydrated. H-2-Motherf**N O. Throw a few sparkling in there for a little flavor and the bubbles we all crave. But do not forget to pack your own water bottle and be kind to Mother Earth. Instagram, I mean no one wants to look back on their epic vacation and delete all the great photos you took because you hate the way you look in them. Epic Fail… Keep the makeup light, your skin moisturized, and your hair clean. This is where a really great dry shampoo is going to become your best friend. HASK came out with a brand new line of dry shampoos and I love them so much. My hair looks and feels great. I am currently obsessed with the Coconut Dry Shampoo. Check it out at an Ulta Beauty near you. The shampoo is infused with a tropical coconut scent and removes excess oil. Ultra-fine rice starch acts quickly to soak up oil, sweat and odor leaving hair bouncy, vibrant and clean. Do not forget to keep handy sunscreen, tissue, wet wipes and Evian facial spray. Trust me you will thank me when all your photos look great. Plan your route and where you want to stay. Do the research and grab some great hotels deals. Also, it will help prevent those sticker shock prices your wallet wasn’t expecting. There are so many great websites for finding flights, car rentals, hotels, KOAs, and even discounted activities. Try to plan out how much gas, food, shelter, and activities will cost. Plus if you driving on a long road trip do not forget to get an oil change and car maintenance check before you hit the road. Make sure you have roadside assistance with your insurance policy. No one wants to be stuck in the middle of nowhere broken down. Having a game plan and budget will make your trip a lot smoother, plus being on the same page with your partner or friends from a financial standpoint will make the trip a lot less stressful. I know money is a hard topic to bring up and talk about but it’s one that needs to happen or it will end up being a really really long trip. I would love to hear about your favorite vacation spots, please comment below.